Success has many faces and we were more than pleased to see many of them during those three days of Arts & Antiques Fair. Despite the fail offs of the first-timer, our resolution to remain available for 12 hours (10.00 – 22.00) each day gave everyone the opportunity to visit us whenever he/she wanted, even though the preferable time for many of you turned out to be afternoon and the early evening. The majority of the audience were they welcomed were foreigners, as we had expected and wished, due to our best intentions to show quality art and antiques in a more scarce in the city of Thessaloniki public. However, it would be unfair not to thank the Greek visitors who came along to see us. A big thank you is also in place for Nikos & Eleni Grigoriades, owners of G Hotels and the luxurious resort “Athos Palace” in Kallithea which accommodated the Arts & Antiques Fair, as well as the hotel staff who immediately responded to our every request. The process was arduous but enjoyable. Useful and constructive. And there would be none of this if we had a good team, a professional company and perfect partners. In addition, we have attracted wide attention from the media, both nationally and locally (over 50 publications in newspapers and printed media in general, hosting in radio and television broadcasts, etc.). The Arts & Antiques Fair is a newfangled institution that aspire to expand and develop in the coming years. Further and more interesting is that we intend to expand our business ecosystem to welcome everyone to this who will want to work through this crisis, rather than trying to salvage what remained from the market of the past, but building together a new market and our future. 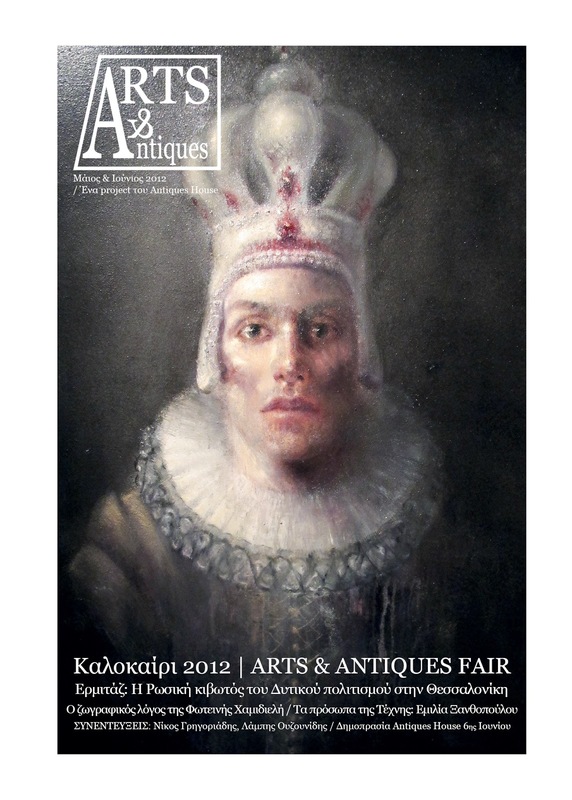 Watch the slideshow of the "Arts & Antiques Fair 2012"